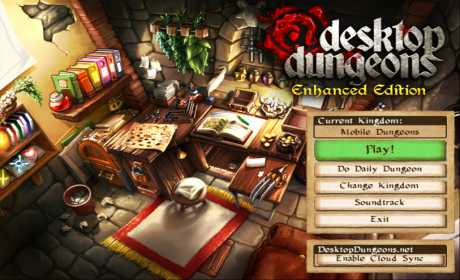 Desktop Dungeons makes its debut on Android Tablets! Fight your way through randomly generated dungeons, collect spells, items, and loot to defeat the dungeon boss and earn gold to upgrade your Kingdom. Unlock new classes to play as, useful items to discover, capricious gods to worship, and enemies to fight. All in service of the almighty bottom line and saving your Kingdom from peril. 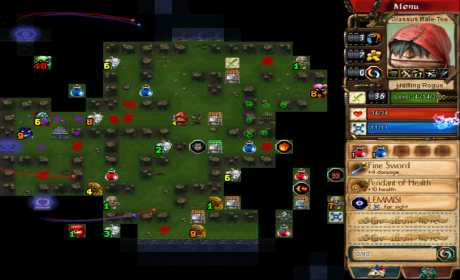 Desktop Dungeons packs all the challenge and reward of a dungeon crawling roguelike game into bite sized chunks of puzzle goodness. Take an Elf Warlord through the Venture Cave, defeat Aequitas the Warlock and sell his beard to your Taxidermist to afford an upgrade to your Blacksmith. Or, spend time in the game’s extensive puzzles trying to understand exactly what worshipping Taurog is all about. 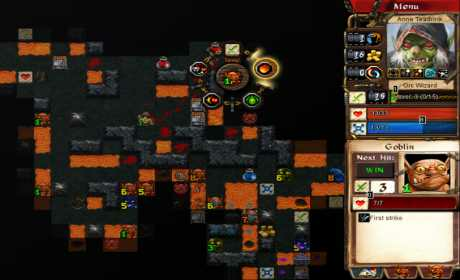 -Randomly generated single-screen dungeons offer bite sized adventure. -Explore new terrain to regenerate your health and mana, INNOVATION! -20 Classes to play as and unlock, including the new Chemist and Rat Monarch! -7 Races that combine uniquely with the Classes, each playing differently. -Upgrade your Kingdom to unlock items and preparations to start your dungeon runs with. -Loads of quests and puzzles to keep you entertained for hundreds of hours. -Compete with your friends in the new Daily Dungeon. -The full Desktop Dungeons experience, optimized for touch screen. Desktop Dungeons won the award for Excellence in Design at the 2011 Independent Games Festival, where it was also a Grand Prize nominee.